The Blot Says...: WWE Pop! Series 6 Vinyl Figures by Funko feat Goldberg, Mick Foley & AJ Styles! WWE Pop! Series 6 Vinyl Figures by Funko feat Goldberg, Mick Foley & AJ Styles! 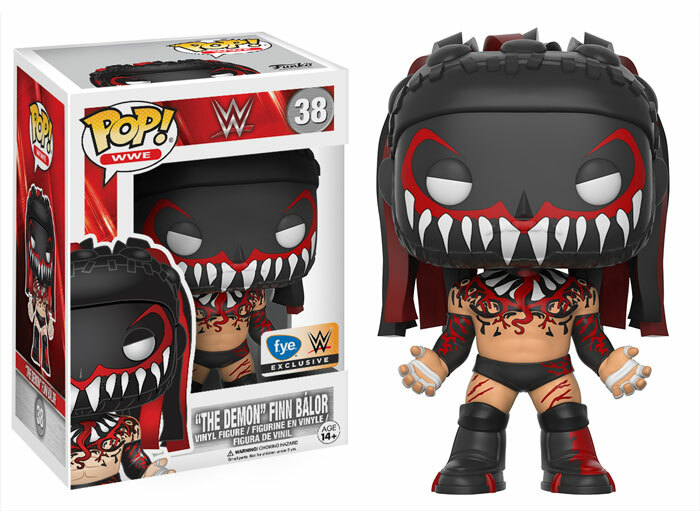 Funko has announced its sixth wave of WWE Pop! vinyl figures, and this might just be The Blot’s favorite WWE Pop! Series released to date! Each one is an insta-buy for my collection. WWE Pop! Series 6 includes Goldberg, Mick Foley, AJ Styles and Finn Balor. There’s also a 1 in 6 Finn Balor chase variant, which features Finn with his Demon face paint, and a FYE Exclusive “The Demon” Finn Balor Pop! That’s three different Finn Pop! for all the Balor Club fans out there! Each WWE Pop! vinyl figure stands 3.75” tall, features one point of articulation and comes packaged in a full color displayable window box. Collectors can pre-order these awesome WWE figures now from Entertainment Earth for $10.99 each here.